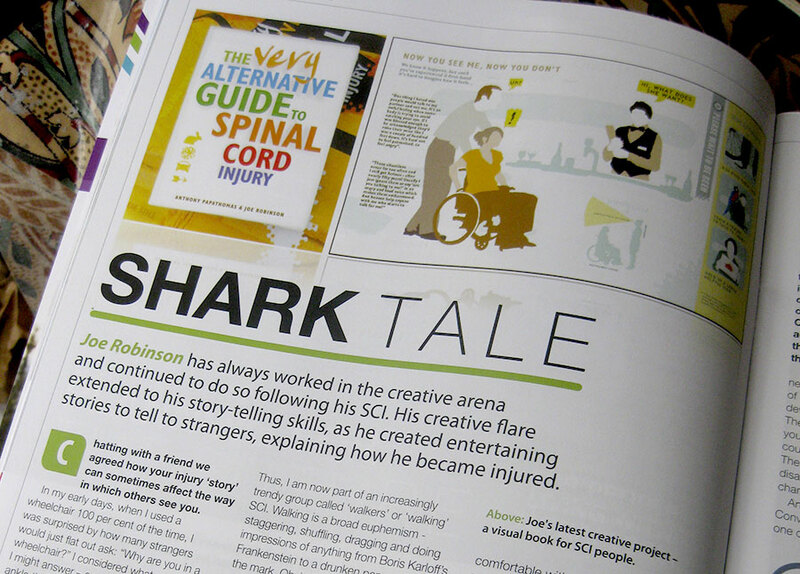 One of the authors was asked to write a personal article for the August edition of the Spinal Injuries Association magazine ‘Forward’. The article includes some images and a mention of the imminent Alternative Guide publication. “A brilliant idea, beautifully realised and very funny” – Andy, spinal cord injured reviewer. “After a spinal cord injury or illness, we know that humour can help, information can help, and support can help. This book brilliantly combines all these elements. It has a role for relatives and staff also, touching on very difficult subjects with honesty and wit” – Helen Smith, Consultant Clinical Psychologist, London Spinal Cord Injury Centre.